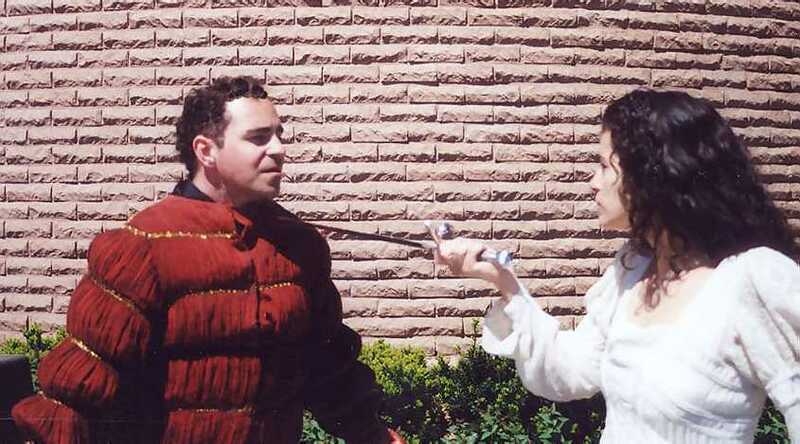 Taming of the Shrew - Meeting of Kate and Petruchio with Paula Galloway and Carlos R. Fernandez. 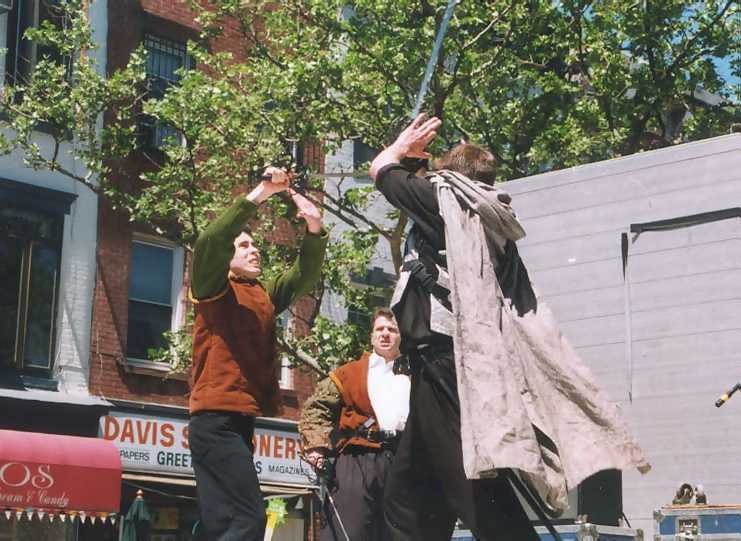 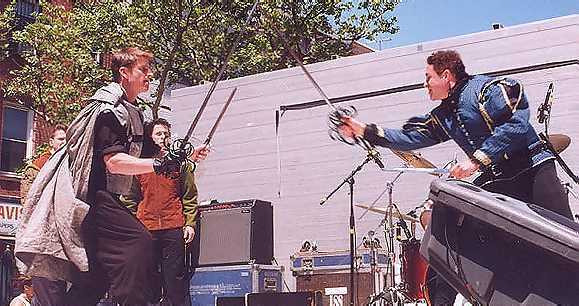 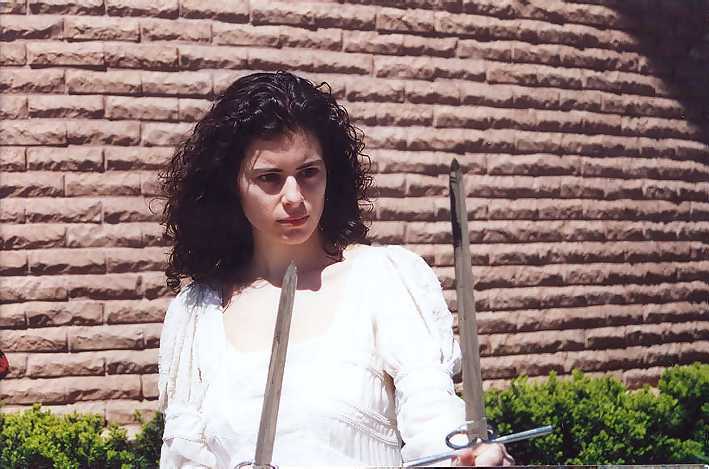 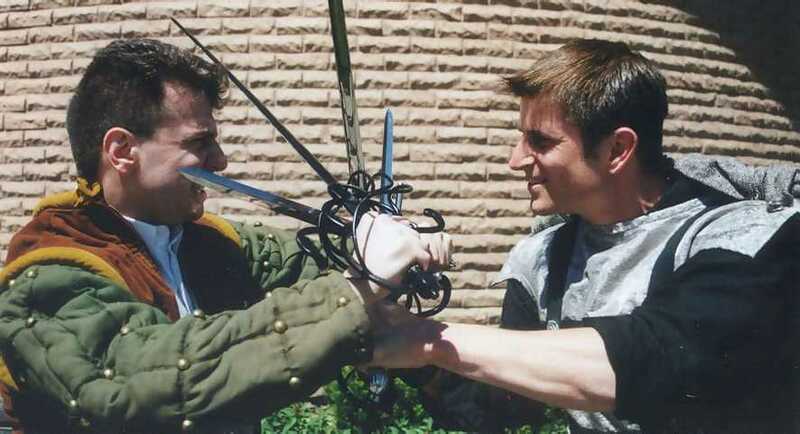 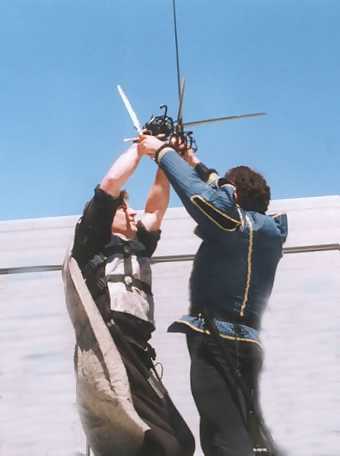 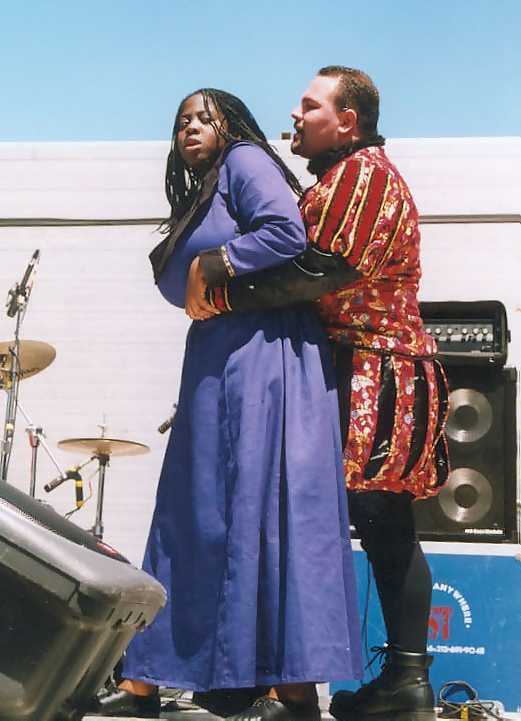 Romeo and Juliet - Street fighting scenes involving Benvolio (Spiro Papas, left), Tybalt (Jon Crefeld, right), Mercutio (Jon Ciccarelli in blue) and Romeo (John Short, pictured alone below left). 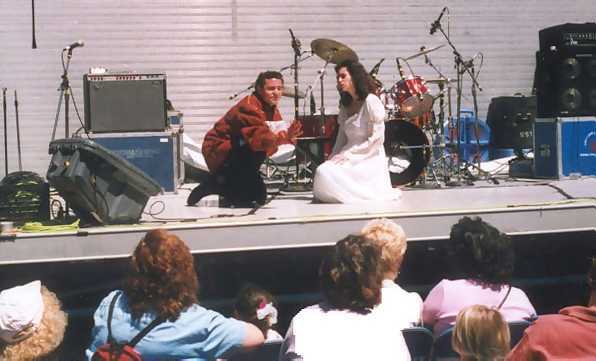 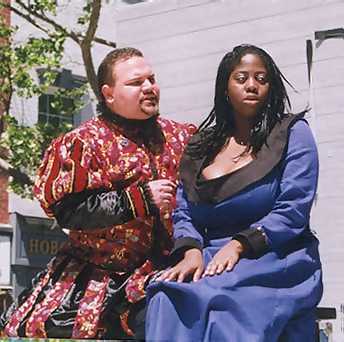 Macbeth - Meeting of Macbeth and Lady Macbeth after the murder of King Duncan, with Jon Ciccarelli and Cheryl Rossillo. 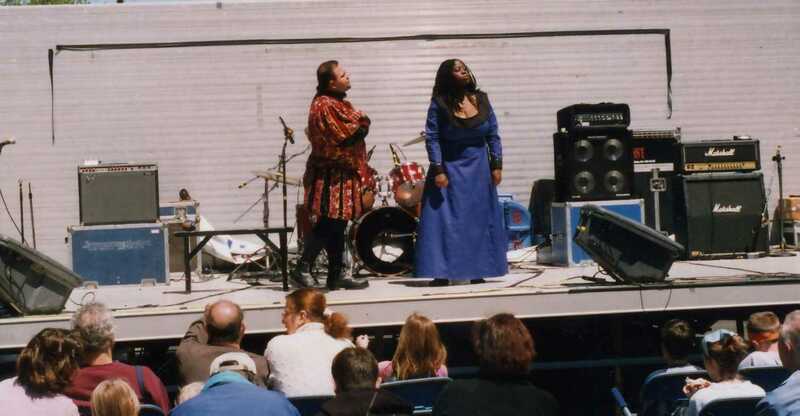 For listings and information on our 2004 season.